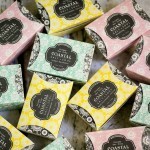 You will likely agree once you’ve experienced products by Coastal Salt & Sea, the rustic-chic collection of artisanal bath, body and home products that lives for the sun-drenched and salt-bleached beauty of the California coastline. These products embrace seaside tranquility and faded elegance. 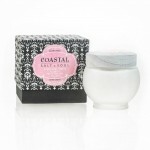 They are romantic, vintage and the scents make it seem as if they have mastered how to capture the seaside in a bottle. These “seaside-luxe” products are made with mesmerizing formulas and free-sprinted scents that are hand-made, hand-poured and beautifully hand-packaged. Products are hypoallergenic and dermatologist tested. Signature scents liked Ocean Gardenia, Blushing Peony and Mediterranean Citrus are captured in detailed packaging with hand-drawn patterns to hand-finished touches. 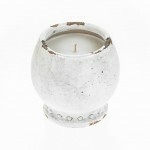 Each artisan crafted jar, bottle and candle vessel captures the pure joy of faded elegance and whitewashed treasures. 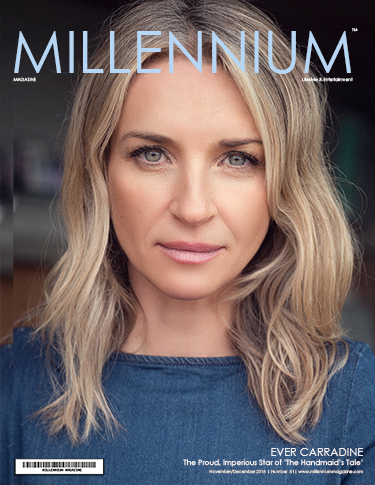 This new company, which is rapidly growing launched in 2015 in over 150 luxury independent retail locations across the US adding over 10 new accounts weekly. “We develop products that feed the soul. 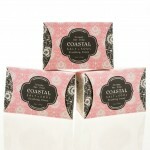 Each item is a simple treasure to gift, smell, lather & love.” said Alisa Marie Beyer, founder of Coastal Salt & Soul. 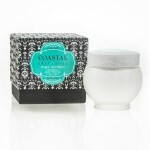 Of the products I sampled; The Blissful Body Butter leaves you with a fresh clean feeling all day. 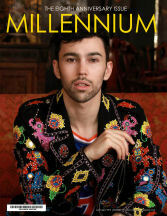 It has a light scent and you will have no need for perfume. 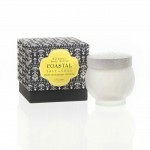 It is a sea foam like spread whipped to perfection in a frosted jar with a weather-worn wooden top. The Shea Butter will nourish and moisturize. It helps to heal and rejuvenates. The Irish moss will hydrate and soothe while sea berry restores and protects. It can be applied on the entire body and it absorbs quickly. The Pink Peony candle is an intoxicating whisper of a lush beach cottage garden in full bloom. A delightful aroma of pink peony mingled with lily of the valley, fresh sea air accords, soft musks and creamy sandalwood. 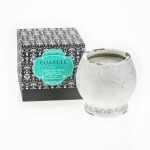 Each candle is designed in Italy and hand-poured in small batches in California. 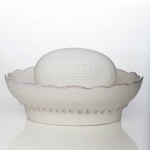 A new site www.coastalsaltandsoul.com is expected to launch next month featuring all their products. 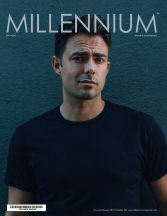 For now you can find products sold at beautybar.com.